Leveraging on our extensive business knowledge, we are able to supply and trade technologically advanced Speech Recognition systems. Engineered in accordance with the set industrial guidelines, these modules are widely used for recognizing voices accurately. Clients can avail this range with advanced features and microprocessor chips in desired specifications at most competitive prices. Owing to their compatibility with different ports, these speech recognition modules are highly availed in the market. We are instrumental in offering IC Chip which is a kind of voice recognition circuit in varied specifications. This module comes with an analog front end, recognition process, sound control functions and voice analysis. 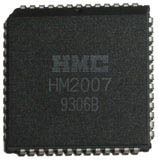 When combined with microprocessor, these IC chips can be turned into an intelligent recognition system. Two control mode is supported: manual mode & CPU mode. 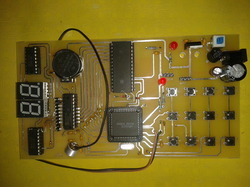 45-pin PDIP, 52 pin PLCC, 48 pad bare chip.